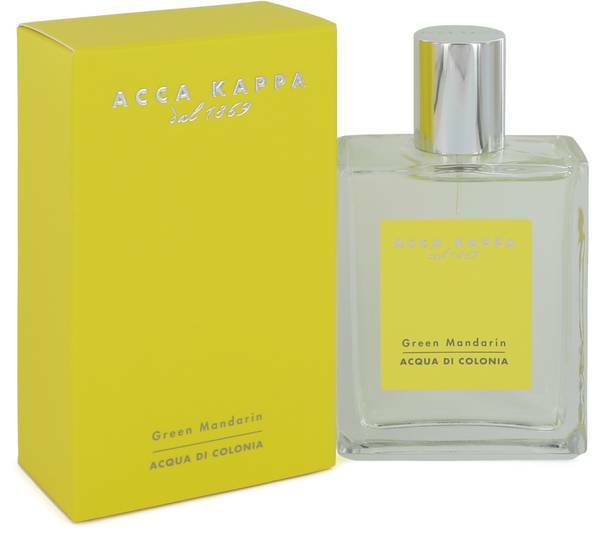 Green Mandarin Perfume by Acca Kappa, First released in 2013, Green Mandarin is a bright and citrusy perfume that brings to mind the warmth of sunlight with the fresh scents of Mediterranean fruits. The perfume begins with top notes of mandarin, bergamot, lemon, and orange, lifting your spirits with a blend of citrus. Floral scents enter the mix with middle notes of jasmine and rose and they are all tied together with a warm base note of soft musk. It comes in a clear, rectangular bottle with a Read More Read More yellow label. Founded by Hermann Krull in 1869 with the aim of making and selling premium brushes and accessories, something for which the company is still well known, Acca Kappa is a skincare and beauty company based in Italy. Since its creation, the company has remained under ownership of the Krull family for the majority of its life. They first began selling perfumes in 1997 and work to create high-quality fragrances using natural ingredients. All products are original, authentic name brands. We do not sell knockoffs or imitations.